Class Summary: Who wouldn’t jump at the opportunity to travel to outer space? Ok, so I’m sure everyone would, but how does one get there? This class will introduce students to how rocket propel people and objects into space. Children will concoct their very own travel devises using the air inside of a balloon. In addition, students will also get to assemble the own balloon air powered rocket cars in preparation for their space travel. 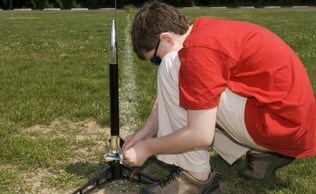 In the end students will get a rare opportunity to witness the launch of a model rocket! 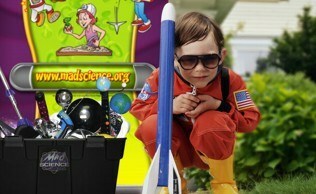 Educational Value: In this class students will explore all the neat apparatuses used for space travel. This will allow students to learn all about the role that scientific theories such as propulsion, thrust, and aerodynamics, play in the success of space travel outlets like rockets.